GARR, Italy’s leading research and education network consortium, manages a fully owned fibre optic network of 15,000 Km dedicated to Italian Research and Education and offers high performance connectivity and advanced services to around 4 million users and over 1,200 research institutes, universities, research hospitals, cultural institutions, libraries, museums and schools. It has created a countrywide Federated OpenStack cloud using Ubuntu OpenStack and Canonical’s model driven operations tools, MAAS and Juju. Based on a federated architecture design that allows institutions to contribute and share resources over multiple cloud regions, GARR has been able to overcome the limitations of the basic OpenStack software in order to deal with multiple tenancy, partitioning and limiting the use of resources by automating the whole deployment process. GARR cloud infrastructure consists of data centres in 5 different locations and has deployed Ubuntu OpenStack, the most widely used OpenStack deployment in production clouds in the world today. At the recent annual workshop GARR 2017, GARR demonstrated how they can stand up a cloud remotely in 20 minutes and automate all the maintenance with Juju and by using MAAS and Juju, GARR has achieved levels of efficiency more commonly seen in the large data centres of Google and AWS. 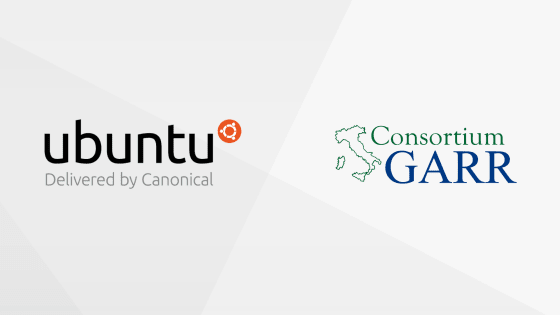 Juju also allows GARR to serve the long tail of science, allowing researchers from any field to deploy self-service cloud applications, chosen from a marketplace of open source software available within Canonical’s Juju ecosystem. Juju Charms have become an established ecosystem of best-in-class applications which use shared, open source operations code for common components so CIOs can focus precious resources on creating software that is unique to their business. When it comes to deploying OpenStack with Charms, having the repeatability of use while still maintaining flexibility in the choice of the individual components, its configuration, and architecture means the solution chosen can evolve and change rapidly. Commenting Giuseppe Attardi, coordinator of the Distributed Computing and Storage Department, GARR: “The demand for cloud services in research and education is taking momentum and Italy is no exception. GARR is applying to cloud computing the same successful community based model used for networking, setting up a Federated cloud rather than resorting just to public clouds. It is clear though that our cloud offering had to be competitive with commercial offerings, hence it was necessary to rely on extensive use of automation on OpenStack. Canonical’s entire approach to model driven operations was our best choice to achieve the right level of economics for run our service competitively. Juju has also provided us with an application marketplace that we can offer to our users and increases the take up of our services. We are ourselves actively contributing to the Juju application, in particular for teaching and e-learning, e.g. Moodle in the Cloud and Jupyter Notebooks”. If you are attending OpenStack Boston this week, please stop by and learn more about Ubuntu OpenStack and Juju at the Ubuntu booth B1.